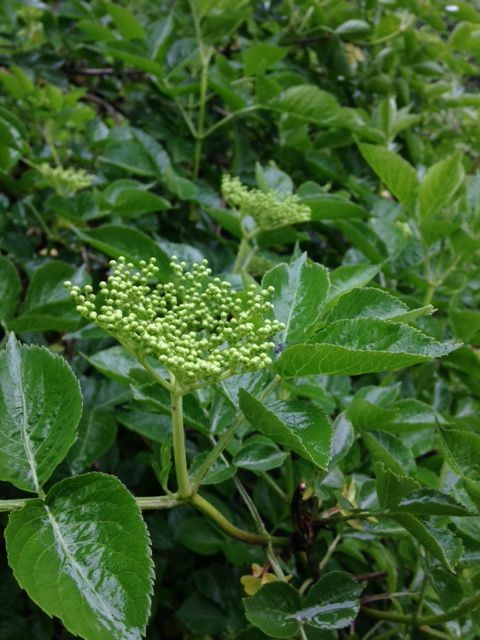 Correctly identifying and processing elderflowers is important as some varieties of elderberry tree (Sambucus genus) are mildly toxic or simply lack a desirable flavor. 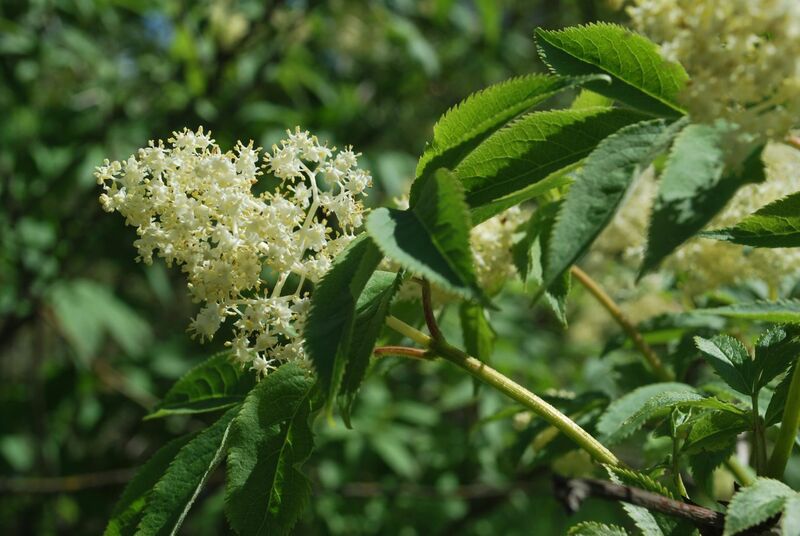 Elderflower cordial is traditionally made using the flowers of European elderberry (Sambucus nigra), though things start to get confusing quickly as there are numerous subspecies that appear in many regions across the globe, taking on names such as blue or black elderberry. Most of these subspecies will have flowers with a fragrance and flavor worthy of bringing into the kitchen. Red elderflowers (Sambucus racemosa) cause digestive discomfort for some and, more importantly, do not have the same desirable qualities of their cousin Sambucus nigra. While the two species are easily identified when fruiting (one has black and sometimes blue-looking berries, the other, red berries), at that point no more flowers will remain on the tree. To identify them in the flowering stage, look at the shape of the flower cluster. The leaves, stems and unripe berries of both red and black elderberry species contain cyanide-inducing glycosides which can cause a toxic buildup of cyanide in the body. When using elderflowers, be sure to remove them from all but that smallest stem attachments to keep these toxins out of your food. I do this by holding the flower cluster upside-down over a bowl and snipping away. Elderflowers are best when harvested in the morning, before the heat of the day has begun to volatize some of their aroma compounds. They don’t store well, as the flowers begin to shrivel in too much humidity (a closed bag in the frig) or if left on the counter. Try to use them within a few hours of harvest for the best flavor. Follow this link for an excellent description of how to make elderflower cordial at home.